This week ESRC IAA Officer Dr Eve Forrest, went to find out more about a new approach to school based community partnerships. On a beautiful autumn afternoon this week, I was lucky enough to travel up to Belsay Hall in Northumberland in time for the opening of a new exhibition called ‘Reimagining Ancient Greece’ a collaboration between Dr Sally Waite, a researcher in Greek Art and Archaeology at Newcastle University, the Shefton Collection at the Great North Museum, English Heritage and Belsay Primary School. The project combined different elements of the ‘Community Curriculum’ approach, a local-learning model developed at Newcastle University Centre for Learning and Teaching, exploring the potential of utilising community partners to collaborate on a specific area of a school’s curriculum that they have specialist knowledge in. 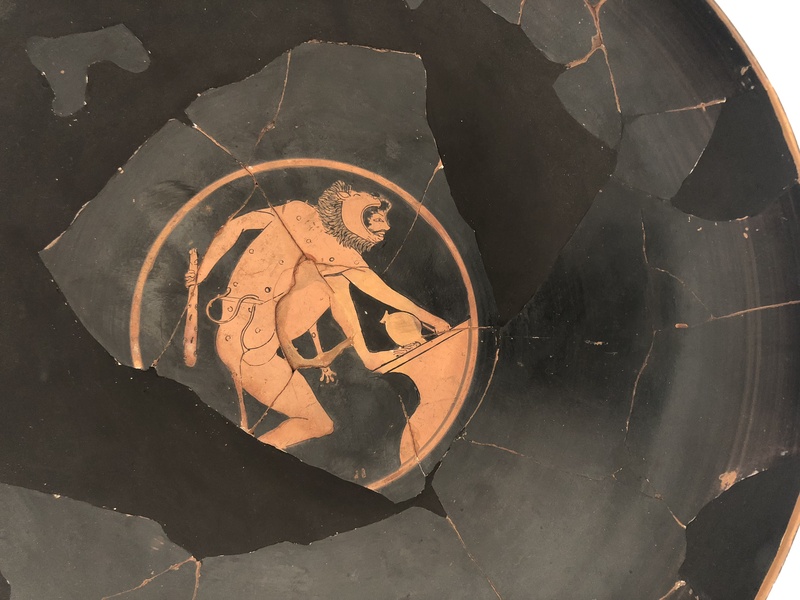 The idea of exploring Greek art and mythology began as part of a pilot from another ESRC Impact Accelerator (IAA) awarded project and has since developed into its own standalone work with new partners. What made the collaboration particularly unique was the strong partnership between Newcastle University and the Great North Museum. In particular it drew from artefacts in the large Shefton Collection, using some pieces that had never been on display before which was hugely exciting for the teachers and pupils too. Using these artefacts as a starting point, children created hands on artwork that allowed them to explore in-depth the everyday life and art of the Greeks as part of their learning in class. Within a couple of the very grand rooms at Belsay Hall (itself an inspiring and unique example of Greek Revival architecture) glass cases are filled with ancient artefacts and their new interpretations. Original coins and pottery plates sit beside beautifully painted fragments and coin replicas made by the Year 3 and 4 Belsay pupils. Learning through hands-on art work was central to the project and artist Mina Heydari-Waite guided the children in their drawings and painting, alongside making their own artefacts and in turn, helping create excitement and curiosity about classics and archaeology. Athenian red-figure wine cup, 525-500 BC, depicting Herakles helping himself to some wine in the cave of the centaur Pholos. 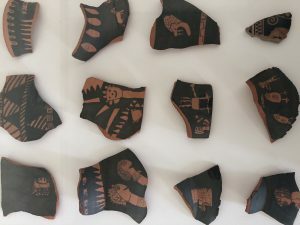 Fragments showing the Labours of Herakles, decorated by year 3 and 4 children at Belsay School and (bottom right) an Athenian red-figure fragment from a krater (used for mixing wine and water) of the fifth century BC depicting the head of Herakles (Shefton Collection 593). What came across from the children and teachers at the launch was their huge enthusiasm for this new style of learning. In her welcome to those gathered at the opening Clare Cantwell, Head Teacher at Belsay School, perfectly encapsulated the approach from the pedagogical side describing it as a new way of ‘learning how to learn’ and talked of the potential that this method could have in refreshing their approach toward lesson planning. The exhibit may be drawing from the distant past but it is clear in the strength of the exhibition that the community curriculum approach is forward-facing and has huge potential as a future method for curriculum development at a local and national level. 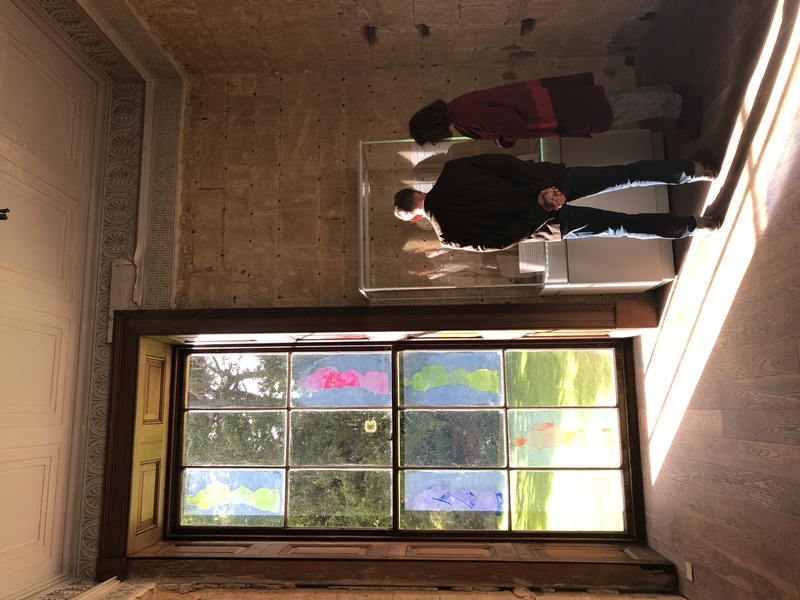 Reimagining Ancient Greece runs until 25th February 2019 at Belsay Hall. To find out more about the Community Curriculum approach and to access resources please go here. 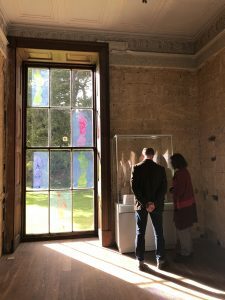 Read about preparations for the exhibition on the Institute of Classical Studies blog here and here. This entry was posted in Events and tagged community curriculum, Impact, schools by Eve. Bookmark the permalink.